Grudgingly, I’ll admit this blows After Effects out of the water. 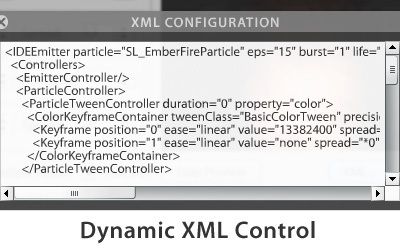 Anyone who's tried to create quality effects in Flash, knows how difficult it can be. One can either spend days messing with complicated code that only results in cheesy effects, or struggle through expensive video-editing apps that produce nothing but frustrating render workflows and bloated files – both of which waste time and money. What if there was a way to combine the quality of rendered video effects with the interactivity of ActionScript, that could be created within Flash? 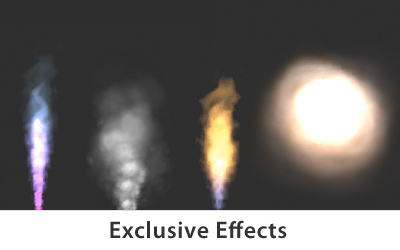 What if one could create these beautiful Flash effects in just one click – at 1/6th the price? Well, now you can. With Desuade Partigen 2. 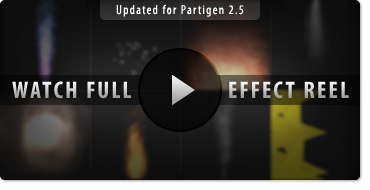 Featuring over 165 exclusive preset effects, Partigen 2 is the first and only extension for Flash that let's you create complex particle effect systems in just a click. 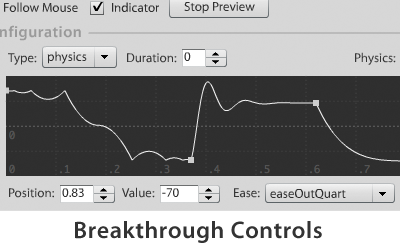 This means you can effortlessly engage and "wow" your audience with stunning effects in just seconds, instead of days. Most importantly, you and your clients save time and money – all while having fun. ...Partigen is an amazing extension! Use Desuade Partigen to add those obsessively perfect touches to their client’s cutting edge websites, and to save time creating custom effects for their latest Flash movie hits. 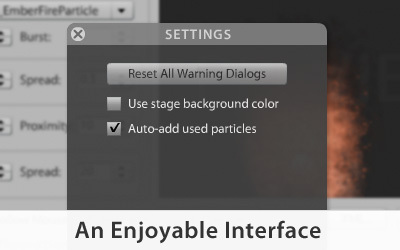 A gorgeous design and an easy point & click interface make Partigen a joy to use. 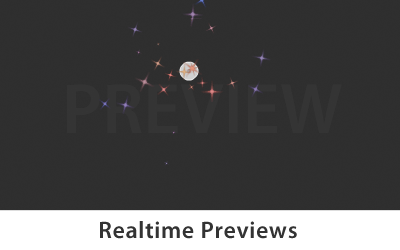 Use the open source Partigen AS3 particle system to add lightweight, real-time effects to their projects and games – while speeding up development with logical, clean code. For free. 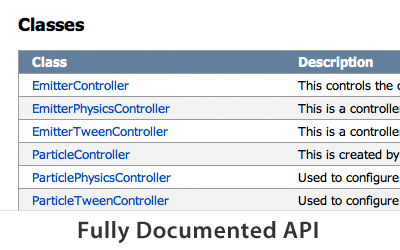 A fully documented ActionScript 3 API gives interactivity beyond static video loops.